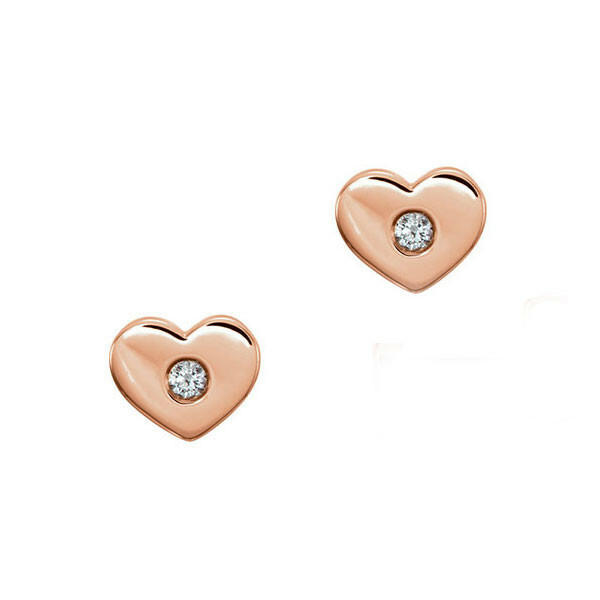 This lovely pair of heart stud earrings will show her how special she really is. Each piece is crafted in 14kt rose gold in the shape of a heart, and a single diamond rests at the center. Post backings keep this adorable set comfortably in place. You will win her over when you present these enchanting earrings.